The history of the Pokemon media franchise spans over a decade from when work began officially on the first game to now, and has roots even older. It started simply enough as a hobby of Satoshi Tajiri, who as a child had a fondness for catching insects and tadpoles near his home in suburban Tokyo. Over time, Tajiri decided to put his idea of catching creatures into practice because it would give children the same thrill as he had. With the help of Ken Sugimori and other friends, Tajiri formed Game Freak and much later the design studio known as Creatures. In 1975, the precursor to Pokemon was serialized in manga form as Capsule Monsters. However, the manga was unsuccessful and was discontinued. In 1991, Tajiri discovered the Game Boy and the Game Boy Link Cable gave him the image of insects traveling along the wire. After several failed attempts at pitching Capsule Monsters to Nintendo, Tajiri's new friend Shigeru Miyamoto pitched it to the company, and Nintendo began to fund the project, spending six years developing the games that would become a worldwide sensation. The original artwork for the games was drawn by Tajiri's friend, the artist Ken Sugimori. Before the first Pokemon games were released in Japan in 1996, sprites of Pikachu, Mew, Meowth, Bulbasaur, Charmander and Squirtle appeared in Game Freak's Game Boy Camera in 1995. 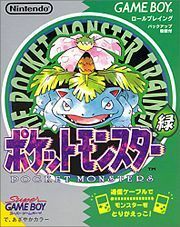 Around this time, Nintendo decided to change the name "Capsule Monsters" to "Pocket Monsters." The first Pokemon games, Pokemon Red and Green Versions, came to the Nintendo Game Boy system in Japan on February 27th, 1996, which was the fulfillment of Satoshi Tajiri's dream and allowed people of all ages to catch, train and trade 151 creatures and become a Pokemon Master. Due to high sales, Pokemon Red and Green were swiftly followed up with Pokemon Blue, which had improved graphics and sounds. After the games, a Pokemon Trading Card Game was developed by Media Factory with its own set of rules. The first set of cards was released on October 20th, 1996, containing 102 cards, and became very popular. The popularity of the franchise also led to an anime series based on the games, premiering in Japan on April 1st, 1997. The main character was a young Pokemon Trainer named Satoshi (after Satoshi Tajiri, later dubbed in English to Ash Ketchum), based on Red. Another character introduced in the first episode was Satoshi's rival, Shigeru (after Shigeru Miyamoto, later dubbed in English to Gary Oak), based on Blue. The franchise also won many manga interpretations, the first being Pocket Monsters. The more famous manga in the western world, however, is Pokemon Special, the first volume of which was first published in Japan on August 8th, 1997. Shogakukan published the first volume of Pokemon Wonderland, a magazine with the latest information on the franchise, on August 23rd, 1997. On April 25th, 1998, the first Pokemon Center store was opened in Tokyo, specializing in Pokemon merchandise. Along the way, The Pokemon Company began its operations. Many such stores were opened in later years, and today there are six different stores across Japan, as well as one in New York. North America received Pokemon Red and Blue Versions, as well as the anime, in September 1998 (the anime on the 7th and the games on the 30th), and soon everywhere else began to play the games on the Game Boy under the slogan Gotta Catch 'em All!. The Trading Card Game was also introduced to North America on January 9th, 1999 by Wizards of the Coast. Meanwhile in Japan in 1998, a new spin-off game, Pokemon Stadium, was released for Nintendo 64. This game featured only 42 Pokemon of the full 151. The game wasn't very successful, though. The anime, on the other hand, pushed the franchise to new heights. On July 18th, 1998, Pokemon the First Movie debuted in Japanese theaters, featuring the rare Mew and Mewtwo. In the United States, where it was released on November 10th, 1999, the movie even briefly held the record for highest-grossing opening for an animated film. Plans soon started for a game based on the popular anime and Pokemon Yellow Version was released September 12th, 1998 in Japan, October 25th, 1999 in North America and Europe. Pokemon Yellow allowed trainers to take on the role of Ash and travel through Kanto with anime-style graphics for each Pokemon and a Pikachu by their side, following the anime's course of events. On December 18th, 1998 a Game Boy game based on the TCG was released, later arriving in North America on April 10th, 2000. It was followed, only in Japan, a year later by a sequel titled Pokemon Card GB 2. The anime, as well as Pokemon Yellow, marked Pikachu as one of (if not the) most popular and recognized creatures in Pokemon history. This led to a small spin-off game called Hey You, Pikachu!, which was released in Japan on December 12th, 1998, and in North America on November 6th, 2000. This was a virtual-pet game, utilizing the Nintendo 64's Voice Recognition Unit to let one interact verbally with Pikachu. When the anime finished following the games story with Ash's defeat in the Pokemon League in January 1999, it started a filler season in a new region called the Orange Archipelago, introducing the new main character of Tracey Sketchit. During this season's time, a second movie, Pokemon the Movie 2000, was produced. It was first in Japanese theaters on July 17th, 1999, and in North American theaters on July 21st, 2000. A non-traditional spin-off game for Nintendo 64, Pokemon Snap, was released in Japan on March 21st, 1999, inviting the player (in the role of Todd Snap, a character previously introduced in the anime) to a Pokemon photographing mission in a place called Pokemon Island. This game made its way to North America on July 27th, 1999. On April 14th, 1999, a spin-off pinball game for the Game Boy Color was released, called Pokemon Pinball. This game took all the mechanics of regular pinball, with some Pokemon aspects added in. Its North American release was on June 28th, 1999. A sequel to the Pokemon Stadium was also eventually released in Japan on April 30th, 1999, and became a success. This game reached North America on February 29th, 2000, and became known there as the original Pokemon Stadium. The twist in the Stadium series from the main series was that it featured the Pokemon in 3D. In September 2000, the anime-based puzzle game Pokemon Puzzle League was released for Nintendo 64. This game was the only Pokemon game to be made specifically for western audiences and not be released in Japan. However, this was not the only American-made original Pokemon material. 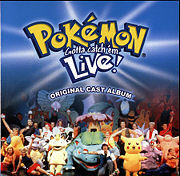 From 2000 to 2002, an anime-based musical called Pokemon Live! was shown on stages around the world. The most memorable plot point in the musical was the revelation that Ash's father is Giovanni. The musical isn't considered canon, but it sparked endless theories among fans. Almost since the very beginning, it was known that 151 was not the end of things. Ho-Oh was seen as early as the first episode of the anime, Togepi was owned by a main character, and others like Marill, Snubbull and Donphan were seen in the first movie. Later, when the second generation of Pokemon was drawing nearer, others like Lugia, Slowking and Elekid made their way to the second movie. On November 21st, 1999, Nintendo of Japan released Pokemon Gold and Silver Versions for the then-new Game Boy Color. This time, trainers were invited to the land of Johto, where 100 more Pokemon were waiting to be captured. The new games enhanced the Pokemon gaming experience by adding many new features, the most famous of which probably being genders for most Pokemon, which allowed for breeding. Also, time came into play, which allowed for differing events in the day, night, and morning, and days of the week. Another important addition was the happiness system. Trainers could also return to Kanto and face the Gym Leaders that existed in the original games. Pokemon Gold and Silver made its way to North America on October 11th, 2000. The anime followed, of course, and Ash and his friends also arrived at Johto in an episode that aired in Japan on October 14th, 1999 and in the US on October 14th, 2000. Pokemon 3: The Movie was then released to theaters on July 8th, 2000 in Japan and on April 6th, 2001 in North America, featuring the legendary Entei. A sequel to Pokemon Puzzle League was released on September 21st, 2000 for Game Boy Color, this time in Japan, titled Pokemon Puzzle Challenge. It made its way to North America on December 4th, 2000. On December 14th, 2000, a sequel to the Stadium series was released in Japan called Pokemon Stadium 2, bringing the Generation II Pokemon into full 3D for the first time. This game reached North America on March 25th, 2001. Like Pokemon Yellow, a third version was made in Japan called Pokemon Crystal Version and was released December 14th, 2000 in Japan and July 21st, 2001 in North America. Pokemon Crystal had several changes made. Suicune was the title character and the focus of the plot. This was also the first portable Pokemon game that featured animations for every Pokemon. Trainers in Japan received an added bonus of receiving the Pokemon known as Celebi through a wireless link, and also being able to trade wirelessly using a cellphone and the Mobile Adapter. Trainers were, for the first time, allowed to choose their character's gender. On December 30th, 2000, the first feature-length special of the Pokemon anime was released in Japan as a sequel to Mewtwo Strikes Back, titled Mewtwo Returns. It was later released on DVD in the United States on December 5th, 2001. Another movie, Pokemon 4Ever, debuted in theaters in Japan on July 7th, 2001, and in North America on October 25th, 2002. It featured two legendary Pokemon prominent in Pokemon Crystal: Celebi and Suicune. The Pokemon Special manga finally caught up to the second generation on August 8th, 2001, when Volume 8 was published in Japan, starting a new chapter. Raikou, The only member of the Legendary Beasts yet to be featured in an anime movie, recieved its own made-for-TV special, The Legend of Thunder!, on December 30th, 2001. This special didn't feature Ash and his friends, but rather new characters based on the player characters of the second generation. On July 13th, 2002, the fifth and last movie of the original series, Pokemon Heroes, was released in Japanese theaters. Distributed on limited release by Miramax, it opened in select American theaters on May 16th, 2003. The first KecleonIn July 2001 an episode of the anime aired in Japan featuring a Pokemon never previously seen - Kecleon. Soon, Kecleon and others like Wynaut, Azurill, Wailmer, Duskull, Volbeat, Latias and Latios showed up in theaters in the fourth and fifth Pokemon movies. Through them, it became known that the next generation of Pokemon was just around the corner. Indeed, a major overhaul of the game series occurred when Pokemon arrived on the Game Boy Advance on November 21st, 2002 when Pokemon Ruby and Sapphire Versions were released in Japan. Trainers found themselves in the southern land called Hoenn where 135 new Pokemon were waiting to be discovered. The games reached North America on March 18th 2003 and had many new features, the most prominent ones being Pokemon Contests, double battles, Pokemon abilities and natures for each Pokemon, along with the reform of EVs and DVs. Also new in these versions were the more detailed weather conditions and the new villains: Team Magma and Team Aqua. Due to the overhaul in the system, however, this generation was not compatible with earlier generations. The anime started a new series, Advanced Generation, which started in Japan on the same day as the release of the games, and reached North America almost a year later. A lot was changed in this series, including the introduction of a new main character, May, based on her game counterpart. Two new movies were produced during the time in Hoenn: Jirachi: Wish Maker (which was released on July 19th, 2003 in Japan and on June 1st, 2004 on video and DVD in North America) and Destiny Deoxys (which was released on July 17th, 2004 in Japan and on January 22nd, 2005 on North American television). Around the same time of the Advanced Generation series, a show called Weekly Pokemon Broadcasting Station began to air weekly in Japan, focusing not on Ash, but on other characters of the anime, such as Misty, Brock, Tracey, Gary, Ritchie, Casey and Sakura. The English dubbed version, Pokemon Chronicles, first aired in the United Kingdom in May 2005, finally dubbing The Legend of Thunder! special to English along the way, three and a half years after its original Japanese airing. Nintendo transferred the Trading Card Game license from Wizards of the Coast to itself in 2003, and released its first set on January 31st, introducing new game mechanics and a new card design. This set was released in North America on June 18th, 2003. To solve the problem of limited Pokemon storage in the continuously growing Pokemon world, Pokemon Box Ruby & Sapphire was released May 30th 2003 in Japan, July 11th 2004 in North America, allowing trainers to store up to 1,500 Pokemon from their Generation III games. A small spin-off game named Pokemon Channel for GameCube was released in Japan on July 13th, 2003, about a TV-broadcasting network that airs a variety of Pokemon programs, with the player as test audience. This game also included a unique anime episode, Pichu Bros. in Party Panic, and it reached North America on December 1st, 2003. On July 28th, 2003, Volume 15 of the Pokemon Special manga was first published, starting another chapter for the manga, following the third generation story. A sequel to Pokemon Pinball met the third generation in Pokemon Pinball: Ruby & Sapphire for Game Boy Advance on August 1st, 2003 in Japan and on August 23rd, 2003 in North America. The 3D version of Generation III came in the form of Pokemon Colosseum on November 21st, 2003 in Japan and March 22nd, 2004 in North America on the Nintendo GameCube. Unlike the Pokemon Stadium series, this game also featured an RPG taking place in the desolate region of Orre. The main new addition to the Pokemon universe in this game was Shadow Pokemon. 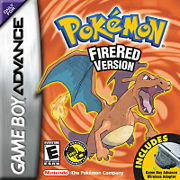 On January 29th, 2004, two new games were released in Japan: Pokemon FireRed and LeafGreen Versions. They arrived in North America on September 9th, 2004, and were remakes of Pokemon Red and Blue, only in Generation III standards, wireless connection and with an added region - the Sevii Islands. Not finished with the Hoenn story, Game Freak developed a third version to go with Pokemon Ruby and Sapphire, called Pokemon Emerald Version. This game was released in Japan on September 16th, 2004, and in North America on May 1st, 2005. Emerald features the same wireless connection as in FireRed and LeafGreen, as well as a return to Hoenn with many new features, including the Hoenn Battle Frontier, re-battling Gym Leaders, changes in plot and animations for all Pokemon, like in Pokemon Crystal. The anime caught up with both the Generation I remakes and Emerald by having the group travel back to Kanto and face the Kanto Battle Frontier there. 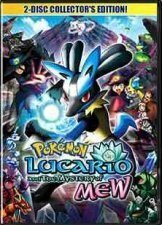 During this season's time two more movies were produced: Lucario and the Mystery of Mew (premiering in Japan on July 16th, 2005) and Pokemon Ranger and the Temple of the Sea (debuting in Japanese cinemas on July 15th, 2006). A spin-off racing game called Pokemon Dash was released in Japan on December 2nd, 2004 and in North America on March 14th, 2005. It was the first of many Pokemon games to come made for Nintendo DS. On August 4th, 2005, trainers were invited back to Orre in Pokemon XD: Gale of Darkness, a sequel to Pokemon Colosseum taking place about five years later. This game found its way to North America on October 3rd, 2005. A spin-off puzzle game, Pokemon Trozei!, was released on October 20th, 2005 in Japan and on March 6th, 2006 in North America. The game had a story mode, which followed Lucy Fleetfoot as she attempted to take down the Phobos Battalion. A new concept saw light on November 17th, 2005, with Pokemon Mystery Dungeon - a pair of games, one for Game Boy Advance and one for Nintendo DS - in which the player is turned into a Pokemon at the beginning of the game. The games, that were released in North America on September 18th, 2006, have received adaptations in the anime episode Pokemon Mystery Dungeon: Team Go-Getters out of the Gate! and the manga series Pokemon Mystery Dungeon: Ginji's Rescue Team. 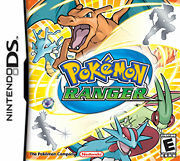 Another new twist on Pokemon came in the spin-off Nintendo DS game Pokemon Ranger on March 23rd, 2006. This time, players didn't play regular Pokemon Trainers, but Pokemon Rangers traveling the land of Fiore with a device called the Capture Styler instead of Poké Balls. It was released in the North America on October 30th, 2006. The game was also promoted in the anime through the appearance of Pokemon Rangers in the main series, a special episode and the ninth movie. 2006 was marked officially as Pokemon's tenth anniversary, and was celebrated as such in many ways, such as Journey Across America. Among other things, an English CD was released titled Pokemon X - 10 Years of Pokemon. On April 29th, 2006, a special episode of the anime called The Mastermind of Mirage Pokemon was broadcast in the United States. This was the first episode to use Pokemon USA's new voice actors, causing big controversy among the Pokemon fan community. The special was eventually broadcast in Japan as streaming video from the TV Tokyo Anitele web site from October 13th to October 31st, 2006. In fall 2006, another section of the Pokemon franchise was created in the form of the Pokemon Trading Figure Game in Europe, Australia, and Southeast Asia, made by Kaiyodo. The figures reached North America and Japan in 2007. Just like with Kecleon in Generation III, the public learned of Generation IV through a new Pokemon - Munchlax - in May 2004. Munchlax was soon featured in Pokemon Dash, as well as the seventh movie and later the main anime. Others such as Lucario, Bonsly, Mime Jr. and Weavile then made their way to the eighth movie, and Mantyke, Buizel and Chatot appeared in the ninth, which featured Manaphy - a new legendary Pokemon that even became obtainable in Pokemon Ranger. Pokemon Diamond and Pearl Versions were eventually released for Nintendo DS in Japan on September 28th, 2006, and in North America on April 22nd, 2007. Along with 107 new Pokemon in the new huge land of Sinnoh, these games offered an actual 3D rendering of the overworld, the return of the time system, gender differences between Pokemon, a split between physical and special moves, and Pokemon Super Contests. The anime Diamond & Pearl series started in Japan and in the US in synchronization with the release of the games. Like the previous series, it introduced a new female character, Dawn, based on her game counterpart. The three movies of this series, while so far being only halfway through, form a continuous trilogy. The first part of the trilogy, The Rise of Darkrai, premiered on July 14th, 2007 in Japanese theaters, and on February 24th, 2008 in North American televisions. The second part premiered in Japan on July 19th, 2008. 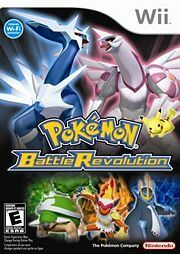 On December 14th, 2006, two weeks after the launch of Nintendo's Wii console, Generation IV Pokemon turned 3D in the form of Pokemon Battle Revolution. It was released in the United States on June 25th, 2007. The paired sequels for Pokemon Mystery Dungeon for Nintendo DS were released in Japan on September 13th, 2007 and in North America on April 20th, 2008. Just like before, an anime adaptation was also produced. Pokemon Rangers were also brought into the fourth generation in a sequel called Pokemon Ranger: Shadows of Almia, set in the new land of Almia. It was released in Japan on March 20th, 2008, and is expected in the North American market on November 10th, 2008. An anime special was also produced, and aired on the same day as the Japanese release. Like with Pokemon Box in Generation III, a storage game titled My Pokemon Ranch was released on March 25th, 2008 in Japan and on June 9th, 2008 in North America, featuring the character of Hayley. The third version of Generation IV, Pokemon Platinum Version, was released on September 13th, 2008 in Japan, bringing new Pokemon forms into the ring for Giratina, Shaymin, and Rotom. Pokemon Platinum BoxThe history of the Pokemon media franchise already spans long over a decade, and is rich with four generations, many main series games, spin-off games, a Trading Card Game, three series of anime complete with 11 movies, endless manga, a musical and plenty of music, but it is far from over. North America and the world are still waiting for games already released in Japan, such as Pokemon Ranger: Shadows of Almia and Pokemon Platinum. In addition to it, many fans hope that, like Generation III brought about remakes for the incompatible Generation I games, remakes for the Generation II story will be released. The third and last part of the Diamond & Pearl series movie trilogy has already been confirmed, but little is known about it. And of course, many believe that Generation V is inevitable, and that the Pokemon world will continue to grow with it. Only time will tell whether this is true.